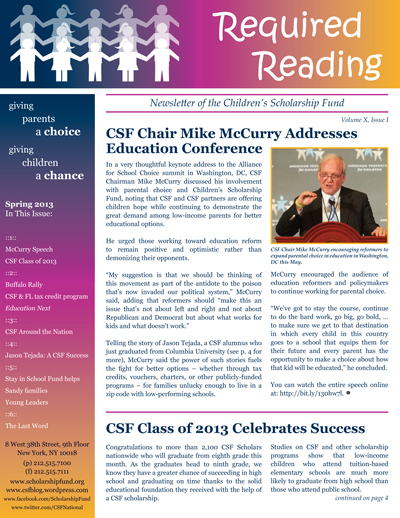 Spring is here, in full-swing, and so is CSF’s latest newsletter! 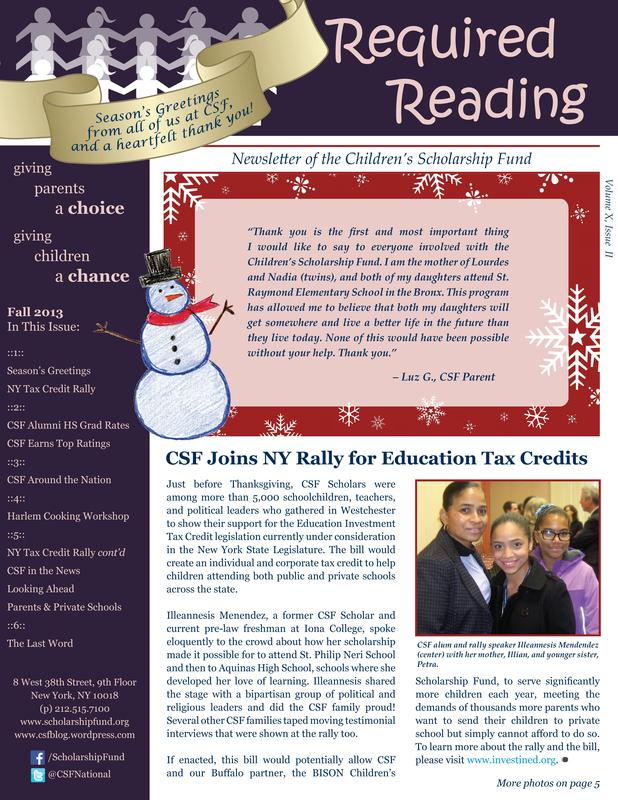 The six-page newsletter features a lot of exciting news from our partners across the country, a brief on the parental choice movement, and a story on a reception held here in NYC celebrating our program. “The Last Word” feature highlights two very special people as well: Adam Brenner, a CSF supporter, and Hansel López, a former CSF Scholar and recent college grad. You can read and download the newsletter here. If you would like a hardcopy, please email Angelica Zamudio. 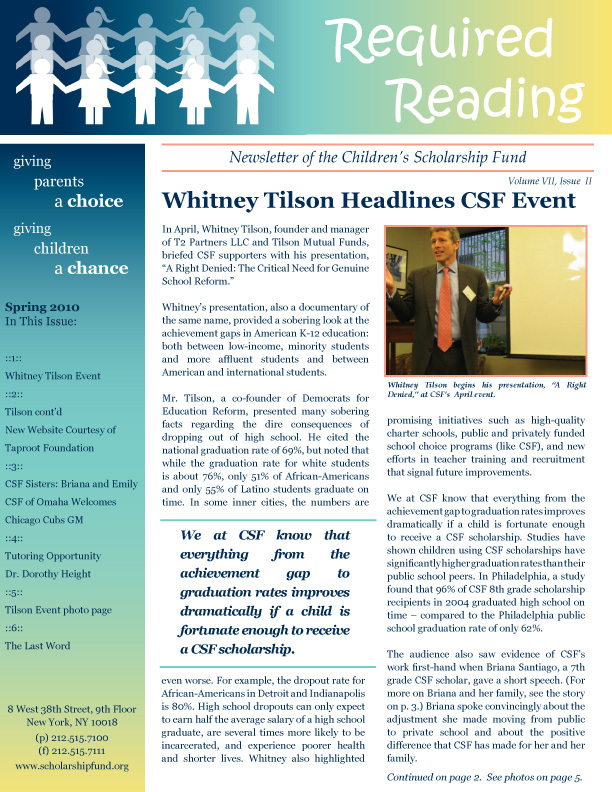 CSF is bursting with fresh news, and the latest issue of Required Reading gives you the entire scoop (unfortunately it doesn’t come with an ice cream scoop). First off, read about the latest event featuring Whitney Tilson’s presentation, “A Right Denied: The Critical Need for Genuine School Reform.” See photos from the event and find out where to check out videos too. We are also proud to announce the launch of our new website. 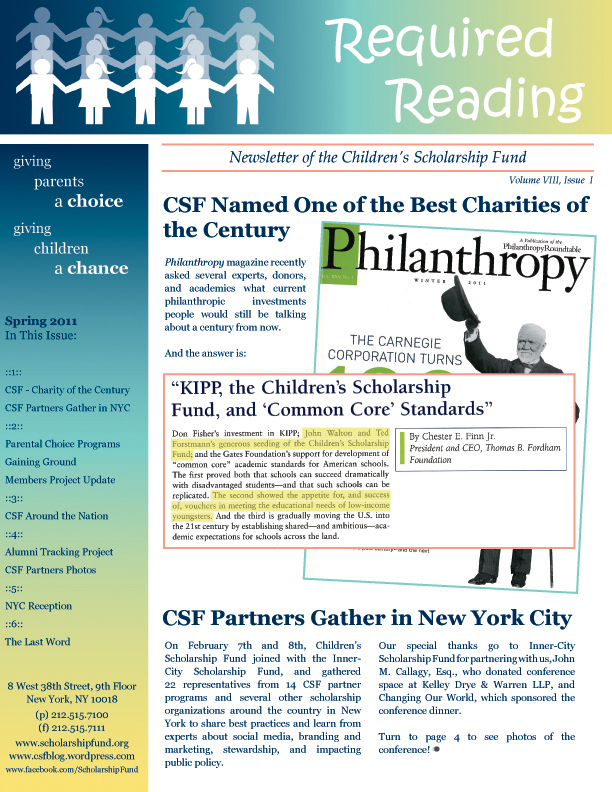 Thanks to the grant from the Taproot Foundation and the pro bono work from the Taproot Team, our website gives a new look into CSF’s work, with access to family stories, updates on the latest CSF news, and a whole new apply page for interested parents. Lastly, we wouldn’t be who we are without our families and partner programs, so read about the Santiago sisters and get an update on our partners in Omaha, all on page 3. 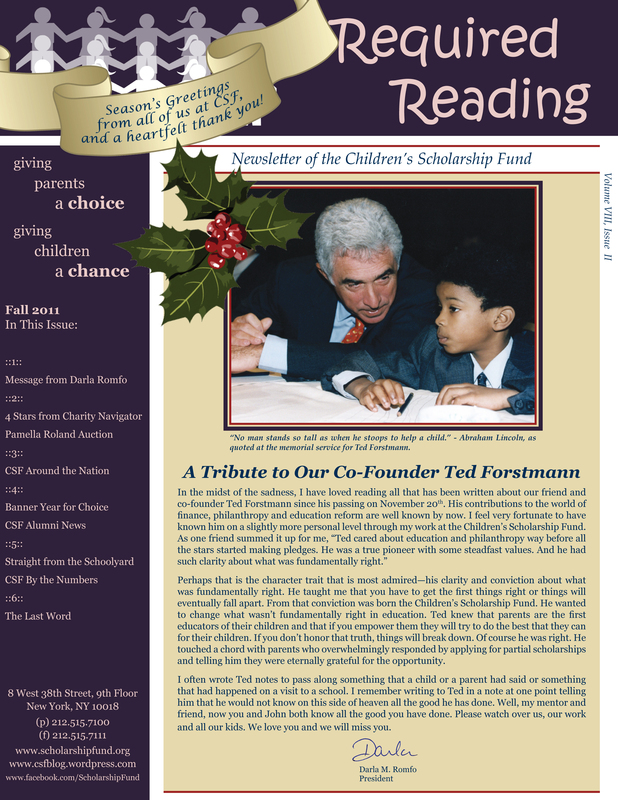 If you would like a hard copy of any issue, please email azamudio@scholarshipfund.org.